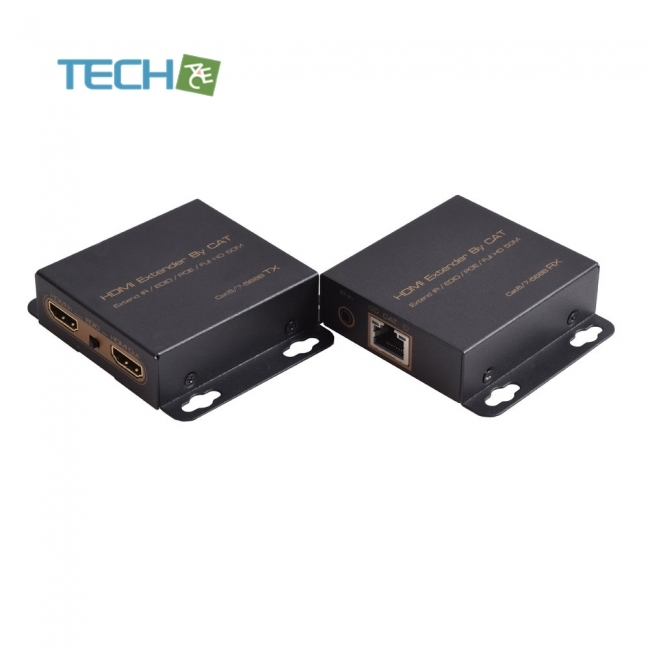 Our series of HDMI converters, switchers, extenders, matrixes and splitters are designed to make your A/V deviceuse more convenient, more comfortable, more productive and more cost-efficient. 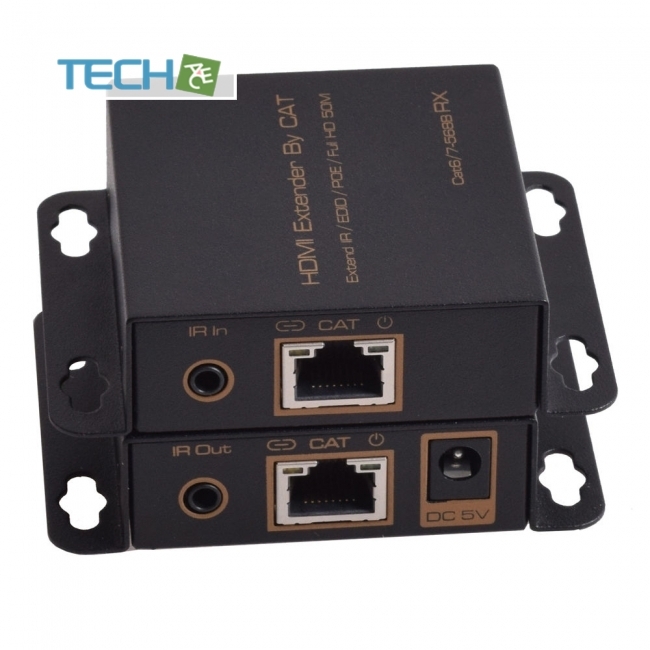 The HDEX007M1 Extender use Single cat-5E or cat-6(recommended) cables up to 50 meters instead of HDMI cable to transmithigh definition signal, for cutting down cost. Long distance transmission of high definition is very difficult because HDMIcable is very expensive and infrequent. The Extender is designed to supply for long distance transmission of high definitionsignal. Our devices offer solutions for noise, space and security concerns, data center control, information distribution,conference room presentation, school and corporate training environments. 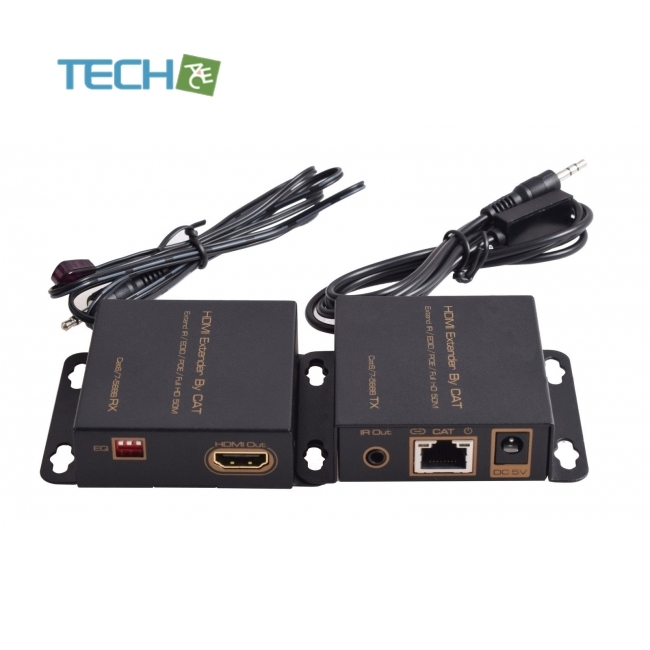 Use one cat5e/cat6 cable to transmit the HDMI Signal and IR signal, the max cat cable length can be up to50m. Support Resolution up to 1080P/60HZ. 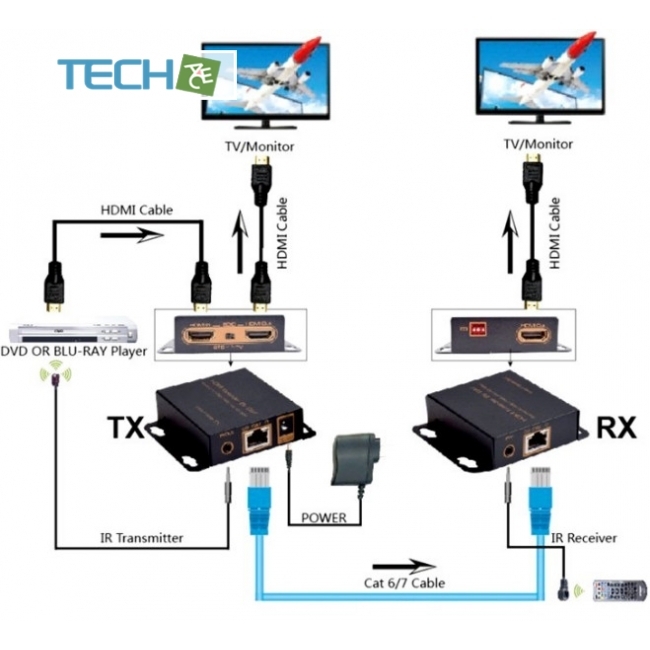 Support IR extender, it can do long distance control to the HD Source by using the IR received at the receiver. LED indication: when power is supplied or device is working, LED relative to is light. 3、To use the RX IR Receiver Cable to the IR IN Port and use the Remote to point at the IR Receiver Head to do controland can transmit the IR signal to the RX IR Cable by cat cable.